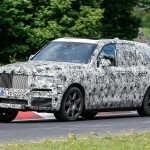 Rolls-Royce Cullinan: Is It An SUV Or Something Else? 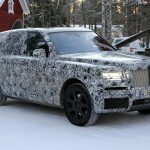 Rolls-Royce is coining a new term for a segment that falls somewhere between a crossover and an SUV. 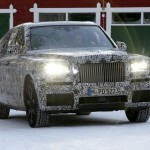 Called the High-Sided Vehicle, the Cullinan isn’t exactly an SUV, as Rolls pointed out. Instead, it’s a “lifted ride” with ample ground clearance, cabin space, and off-road capabilities. 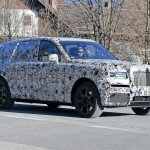 The Rolls-Royce Cullinan was spotted while being tested at the Nurburgring, but we don’t exactly know what to call it because categorizing it under the SUV segment would madden car enthusiasts all over the world. And yet, it isn’t a crossover exactly since that would seriously disappoint luxury car dealers because a Rolls isn’t one for off-road tracks. 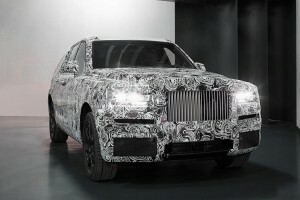 Still, it shouldn’t surprise anyone that Rolls is at least dabbling into developing a luxury SUV-like vehicle and sends it to the Nurburgring for testing. That makes sense. The HSV, as Rolls wants to call the Cullinan, can handle off-road challenges just like any other SUV. It would have a significant ground clearance as opposed to what we see on their luxury sedans, but it still wouldn’t be high enough to make it awkward for passengers to climb in it. 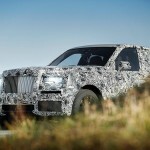 The Cullinan will be based on the platform used on the Phantom VIII, which many of you know uses a new aluminum spaceframe architecture that would make the luxury sedan lighter, stiffer, and somehow, more powerful. 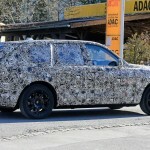 For the powertrain, Rolls-Royce is planning to use BMW’s 6.75-liter V-12 engine in the Cullinan, though it’s quite possible the luxury automaker is also going to produce a plug-in hybrid variant in the future… just to make the Cullinan compliant to current eco-friendly standards. 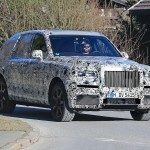 The Cullinan is riding on an air suspension, much like the much awaited eight-generation Phantom. That would provide seamless driving experience for the driver and the passengers of this HSV. The Rolls-Royce Cullinan is set to compete directly with the Bentley Bentayga once it pops in the scene sometime in 2018. 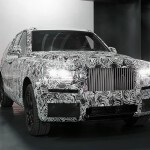 No complete details have been revealed by Rolls so far.